Written by: Lisa Smith, Naturopathic Doctor Mental health affects us all and is an important aspect of overall wellness, regardless of age, culture, education, or income level. Depression, in particular, is one of the most prevalent mental health issues that people experience worldwide; in Canada, approximately 8% of adults are expected to experience a depressive episode in their lifetime. These depressive episodes can range from mild to severe and can greatly impact many aspects of a person’s life, including their ability to work, their ability to engage in daily functions, their desire to participate in typically enjoyable social activities, their physical health, etc. Although the exact cause of depression is unknown, genetics, neurological, and hormonal processes are thought to play a role. For some, an inciting incident or traumatizing event, such as job loss or the loss of a loved one, may also be a factor in the development of depression. 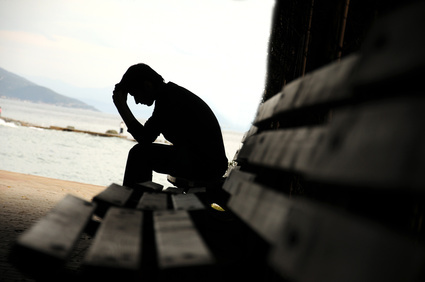 With so many people experiencing depression, what types of help are available? When it comes to depression, many people are aware of treatment options such as medication and psychotherapy; however, there are also many alternative and complementary treatment options available which may be less well known. One of these options is acupuncture. Why might someone consider using acupuncture in their treatment plan for depression? One reason is that, although advances in medicine have generated several classes of prescription medicines that reduce symptoms in 70-80% of people, up to 50% of individuals have incomplete or inadequate response to their initial treatment. Studies on the effectiveness of psychotherapy for depression, when used on its own, show similar results. In other words, medication and psychotherapy - used together or apart - are very helpful for many people, but might not be enough for every person in every circumstance. Where the use of acupuncture for depression is concerned, a recent review of the available literature has shown that the combination of acupuncture with an SSRI (a type of anti-depressant medication) can result in greater improvement in depressive symptoms than the medication alone. This same study showed that benefits could be seen in as few as 2 weeks of acupuncture treatment. There is also evidence that suggests that acupuncture can be an effective treatment for depression on its own. What exactly is acupuncture? Acupuncture is one of the treatment options used in Chinese Medicine, which is a complete medical system ofdiagnosing and treating illnesses that has been in practice for thousands of years. In Chinese medicine, illness is understood to be the consequence of an excess or deficiency of "Qi" (the energy that allows us to move, think, and feel) or Blood (the physical basis of bones, nerves, skin, muscles, and organs). Acupuncture is based on the hypothesis that Qi runs through 14 main channels of the body, within which there are more than 200 "acupuncture points" and, when activated, these points have a unique action on the body. During an acupuncture treatment, your practitioner will insert specialized needles into a series of specific points along the body, individualized to your unique set of symptoms and as determined by a thorough history and physical exam. 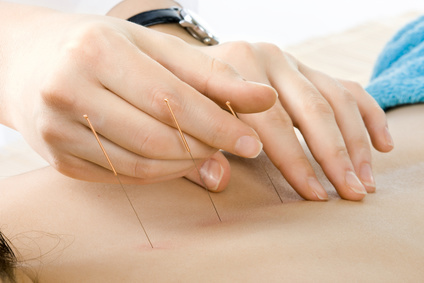 Many people worry that acupuncture will hurt - you are, after all, getting stuck with needles! However, acupuncture is rarely painful; most commonly, people report experiencing sensations such as heaviness, warmth, and tingling during and after treatment. The take home message here is this: just as every person is unique, so too is their experience of depression. All the more reason why it is important to have a variety of effective treatment options for people to choose from to suit their own unique needs. There are many different ways to help people experiencing depression and it's important to create the treatment plan that works best for you.